New luxury development comprising only 28 amazingly large 3 & 4 bedroom residences in front line of the Mediterranean Sea located within just 6 small blocks, these large residences enjoy not only an exclusive access to the beach but are finished to the most luxurious and upmarket standards. The Front Line Beach plot stretches out over 20.000 m2 of prime land. 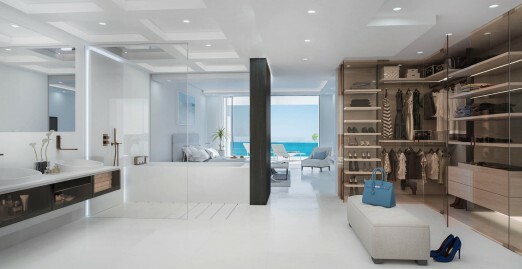 Each of the apartments includes a minimum of 3 large and secure underground parking spaces and large storage facility and are directly connected with each of the homes through a private elevator. All of the apartments within enjoy a new concept with sizes that transmit a sense of living in a Villa rather than in an apartment, while offering amazing open views from all of the rooms and built sizes that range between 405 m2-431 m2 for the 3 Bedroom units and between 548 m2-813 m2 for the 4 Bedroom units. The properties are equipped with amazingly large windows and enormous terraces and are of a very modern design which in the same time still conserves its Mediterranean essence. The Complex offers a large heated salt water outdoor infinity pool where swimming is possible all year round. Set in one of the most privileged locations between Puerto Banús and Estepona, on a front line position of one of the best beaches and just few minutes away from many different services and amenities such as restaurants, shopping centres, golf courses, hospitals and schools. 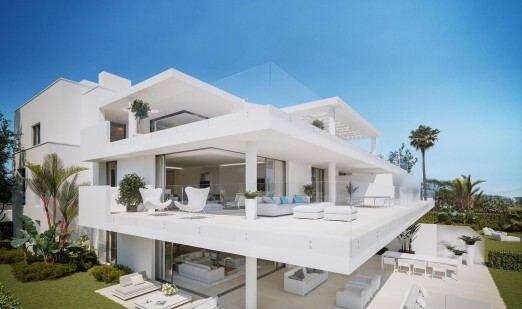 Nothing has remained at the expense of chance in the design and creation , giving rise to a dreamlike residential never seen on the Costa del Sol! 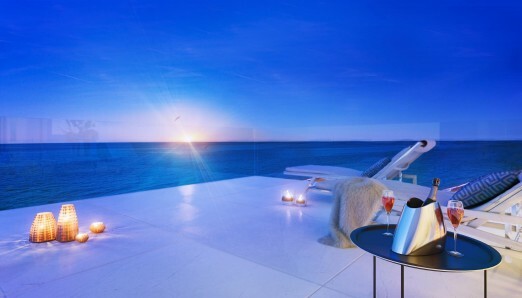 The special design of the ample terraces with designer non-framed glass railings, blends in perfectly with the modernity of the materials and their functionality, while one also may contemplate the most spectacular views not only during sunsets/rises.